Evidently, she took issue with Meek Mill’s comment about 6ix9ine being a snitch and decided to call the platinum-selling rapper “a big hater.” Once again, Meek wasn’t having it and responded appropriately. 6ix9ine pleaded guilty to nine federal counts and will be sentenced next January. If convicted of all nine counts, he faces at least 47 years in prison. Twitter changed Tekashi 6ix9ine’s name to “Snitch9ine” after the news broke the incarcerated rapper was cooperating with the feds in hopes of a lighter sentence. Since then, many of his peers have denounced 6ix9ine, including 50 Cent. But DJ Akademiks is still showing his loyalty to the controversial artist — and Meek Mill isn’t having it. On Friday (February 8), the Everyday Struggle co-host and his Lil Ak alter ego hopped on Instagram to do a little shameless self-promotion for a collaboration with 6ix9ine. New LIL AK x 6ix9ine song. NEED IT OR KEEP IT. 30K comments I’ll drop it rn on all streaming platforms. 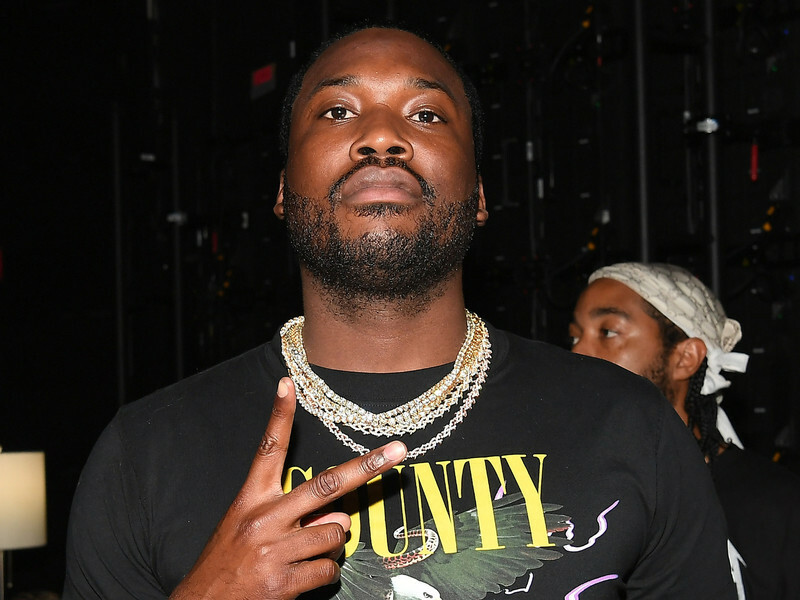 Meek quickly jumped in the comment section and reminded Ak he was dealing with a perceived snitch while accusing the social media personality of being disrespectful. #MeekMill told #DJAkademiks the show’s over for #Tekashi69 ? Earlier this month, 6ix9ine pleaded guilty to nine federal counts stemming from his involvement with the Nine Trey Gangsta Bloods gang. Despite his willingness to cooperate, the 22-year-old still faces at least 47 years if convicted on all charges.